A truly great team building event should make every employee there feel like involved, like they are building new relationships with their colleagues and as if they are having a good time. With our experience in team building activities in London, you can be sure your day will be creative and unique. With London being such a huge corporate city, it provides 100s of venues and inspiration for teambuilding and is one of our most popular destinations for teambuilding activities like below. Many businesses go for cocktail making out of all the London team building ideas for their event, and there are many obvious reasons why. The cocktail making team building in London is bound to bring you and your colleagues closer, while mixing and shaking your favourite cocktails and all learning cocktail making tips and tricks. By working together to find the perfect mix of alcoholic and non-alcoholic flavours and having fun during the challenge, the cocktail making team building idea is a great opportunity for your employees to build work relationships through networking and rewards. Alongside the cocktail making and tasting there will be some sharer food platters and a complimentary drink on arrival for everyone. This London city centre team building activity is something that could definitely help build a stronger team while also having some fun! Make some tasty pizza with your work colleagues’ during a fun Pizza Making team building event. The pizza making team building experience in London is great for bringing your employees together, with a chance to create their own pizzas but also work together in the calzone challenge, which is led by a professional pizza chef. With the opportunity to toss, flip and possibly drop pizza dough and eat everything at your own reserved table at the end, this unique and exciting pizza making team building in London idea would be great for any business in London wanting to bring their employees closer with an enjoyable experience they can share. What is better for bringing colleagues together than a challenge with rewards? This city treasure hunt team building in London is done in and around the surrounding areas of the capital, using the idea of a treasure hunt combined with the latest GPS and smartphone technology to create a city treasure hunt team building idea, fun and different for all the team to join in with. 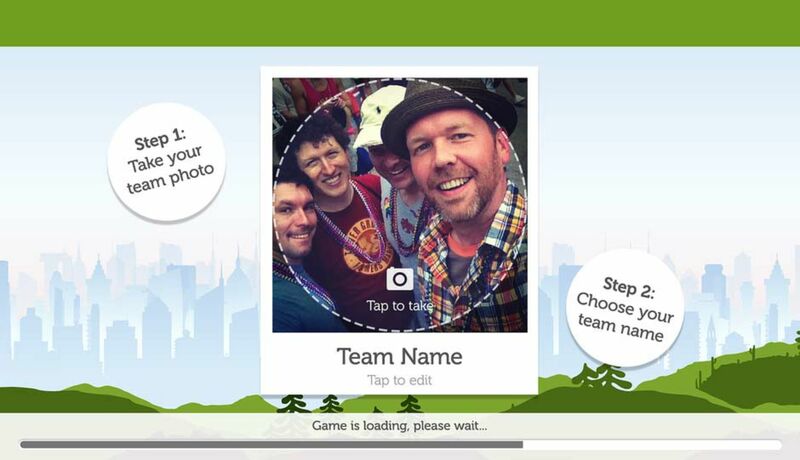 This team building activity allows employees to show their competitive streak with the ability to message the other teams’ funny comments and see their score live. The aim is to make your way round the large city of London while completing city trivia, unlocking puzzles, challenges and taking a few selfies along the way! Similar to the city treasure hunt team building activity, but suitable for day or night time. The pub treasure hunt includes the same GPS and smartphone technology, but this time you will be answering pub trivia, questions about the pub and pretty much having a pub crawl with your colleagues. This London team building idea will seem a lot more like a fun night out for your employees, making there bonding and getting to know each other a lot more natural and successful, plus it gives them fun memories to chat about in work! Your employees and you will be tasked with taking selfies, solving puzzles and choosing from the many pubs around your location in London. If you’re looking for an activity for the more sporty and competitive employees, binocular football in London is a great team building activity to get everyone involved and working together against the opponent. This London team building idea comes with an events co-ordinator and some hilarious football games both classic and new, and some rewards and forfeits to encourage your team to get involved and have a great team building event. Close to the city centre, this activity offers a one hour long session and a chance to enjoy other activities in London. You and your employees can have a great time bonding and building new and stronger relationships after your unique experience of a binocular football team building in London experience. If you haven’t got your London team building event sorted call us on 0161 341 0052 at Funktion and we can help you out!